I suppose it's time to do at least a preliminary assessment of this drama, considering it's currently my header and all. I haven't been able to progress further, but it does sit on my wait list for marathoning through once I get the time. I had very high expectations going into this because of all the positive comments online. It's not the type of drama I'd watch otherwise, since I'm not interested in the premise (especially not after what I saw of On Air), the male lead doesn't appeal to me, and I'm only somewhat fond of the female actress. It's been interesting enough so far, but I'm not sure it warrants all the hype. I like the surprising humor in the show, but it's also frustrating because the premise up to this point has been about one exaggerated obstacle after the next. I have a growing fondness for Anthony, but I still shudder at the thought of him getting together with the MUCH younger writer character. They have good chemistry, but he looks like her uncle AND his cold sore in episode 4(?) was a pretty clear indication that the actor has mouth herpes. Which I sincerely hope doesn't spread to her through a forced kiss scene. 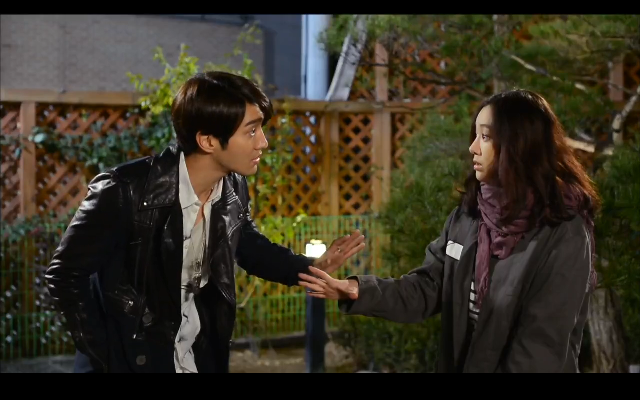 Jung Ryeo Won's character so far is interesting, but I feel like she's replaying Yeo Chi, only in a more subdued and drawn out way. It's better than replaying her typical nice-girl characters, but it's also a bit been-there-done-that. 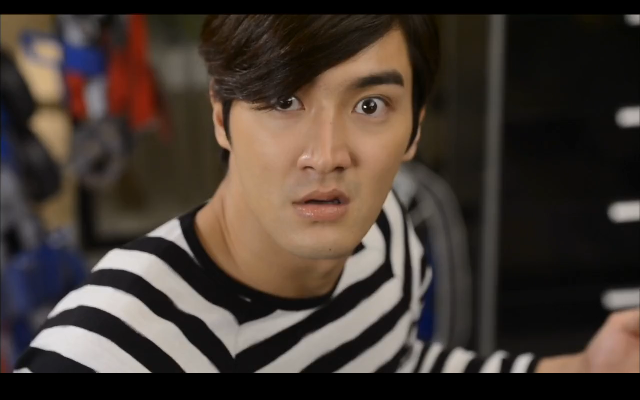 Choi Si Won's ditz actor is undeniably awesome though. His scenes so far have been my favorite, and I wish they'd spend more time on him. It literally makes me sad when the drama hits its obstacles because I feel so bad for him. So cute and naive. I haven't met whoever the female lead actress is, so can't say anything yet, but I'm sure their scenes will be great. As for the story, I was definitely not a fan of episode 1, which was cliche, draggy, and rather uneventful. So many stupid things happened it's not even funny. Most notably the really fake, forced-in motorcycle death. An injury or two I could believe, but death? Certainly not from the way it was filmed. Maybe I should have been saddened by the death of a man for the sake of a drama, but instead all I could think was really? That's the big cause of demise for Anthony's career? Some pudgy, greedy motorcycle man dying in a totally fake-looking accident because they didn't have electronic-transfer capabilities for the film? I do like watching the conflict that Anthony's fall brought about though. His strange combination of luxury furniture in shabby conditions is hilarious, as are his mannerisms and strange psyche. We all love underdogs, right? He's a bit of a questionable hero, since his ways are pretty underhanded (e.g. bribing) but he's funny enough when it counts to make up for that. Again, still liking this drama, but waiting for the spice to kick-in. Also hoping the extension won't bring about slow story drag, as occurred with History of the Salaryman. For once, please no romance cause you're fine just the way you are, ok drama?